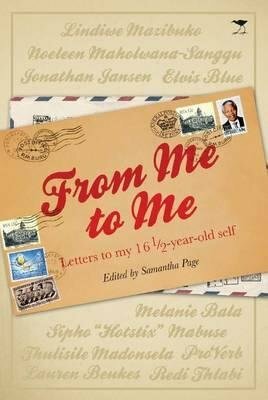 From Me To Me: Letters to my 161/2-year-old-self is a collection of just such letters written by some of South Africa's best loved and ordinary personalities to their younger selves and published with photographs of them as teenagers. From Me To Me is for the teenager wondering what life is all about, someone looking back on their youth, or seeking unpretentious wisdom, or just a chance to meet some of your favourite personalities, before the fame. -- The book is compiled and edited by Samantha Page. Samantha Page is currently the editor of O, The Oprah Magazine, and it is under her leadership that the magazine celebrated its 10th anniversary in April 2012.